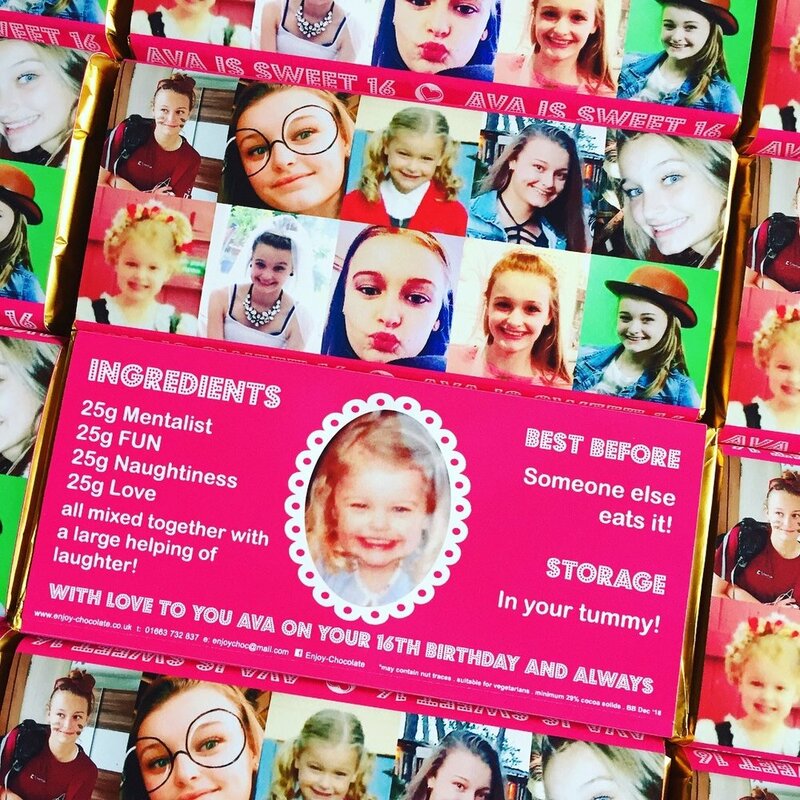 Personalised Chocolate Bars for all occasions using photos, logos or almost any artwork. Contact me for help with your design. Or have a look at what I can do for different occasions.